Please join us for a Community Meeting of East Lake View Neighbors! 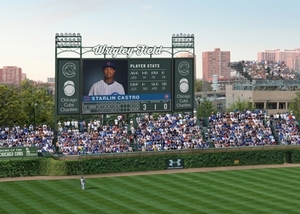 East Lake View Neighbors May 7th Community Meeting will include a presentation by the Chicago Cubs that will show the details of new revenue sources including proposed new signs. There is a Cubs night game at Wrigley Field on May 7th, and there will be tow enforcement of Zone 383 resident parking restrictions on area streets. This entry was posted in Community News, ELVN News, Ward 44, Ward 46 and tagged 44th ward, 46th Ward, Wrigley Field on May 2, 2013 by elvn_updates.